To achieve ENERGY STAR® for New Homes status, custom home builders select from an array of possible improvements (for instance, achieving an acceptable R-value for your home’s insulation, can be achieved using a number of different techniques). Homes can earn the ENERGY STAR® for New Homes label only after a neutral/3rd party verification. 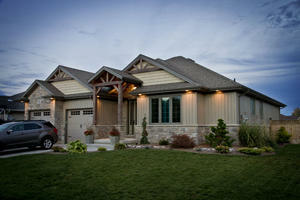 Independent Home Energy Evaluators conduct on-site testing and inspections to verify that your custom home qualifies. Walls, insulation, roofing, windows and doors form your custom home’s envelope. A ‘tighter’ envelope yields a more comfortable more energy efficient structure. This gives your family warmer winters and cooler summers. Properly installed, climate-appropriate insulation in floors, walls, attics and foundation ensures even, comfortable temperatures throughout the house and across the seasons. ENERGY STAR® for New Homes partners, Owens Corning, Icynene and Dupont Tyvek all contribute their expertise to deliver a comfortable, energy efficient environment. Energy-efficient windows available today are vastly superior to what has been used historically. Protective coatings, argon gas between the panes and improved frame assemblies all combine to create a technologically superior product that helps keep heat in the winter, keep it out in the summer and protect carpets, upholstery and artwork from damage by filtering the sun’s destructive UV rays. Windows add a lot to the beauty and character of a home, and they can add much more with a little technology applied! One of the secrets of an energy efficient home is to minimize the possibility of air (which has already been either heated in the winter or cooled in the summer) to leak out through unseen openings. Sealing holes and cracks in the home’s “envelope” and in duct systems helps reduce drafts, moisture, dust, pollen, and noise. A tightly sealed home improves comfort and indoor air quality while reducing utility bills. Better and more energy efficient appliances, lighting and heating, air conditioning and ventilation make for a more comfortable, less costly home. 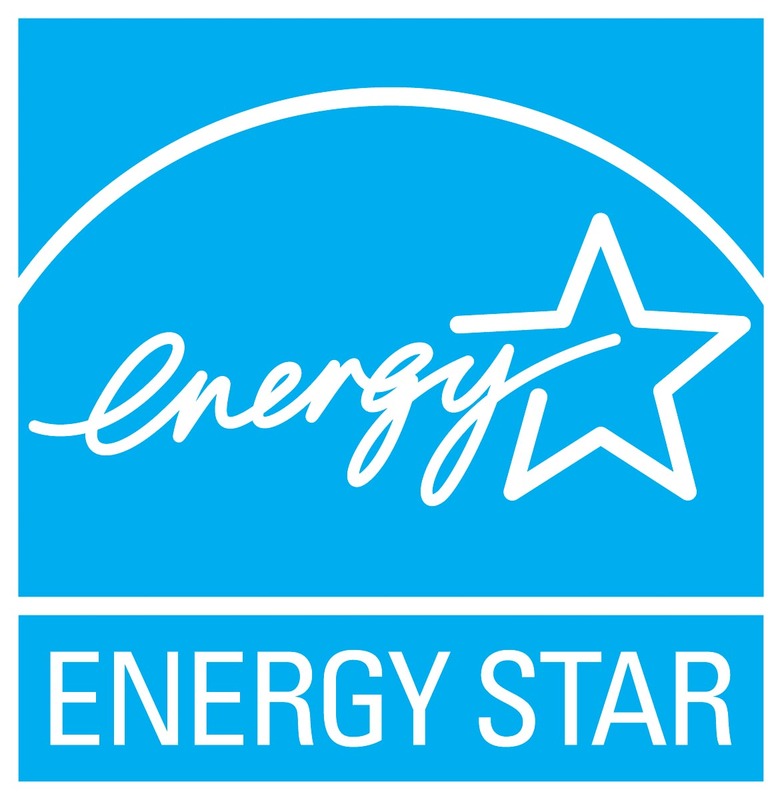 ENERGY STAR® qualified homes employ some of the most efficient systems on the market. High efficiency furnaces and air conditioners coupled with an HRV (Heat Recovery Ventilator found in many ENERGY STAR® qualified homes) unit and a modern water heater do an amazing job of reducing energy waste from your home’s biggest energy consumer. Whether it’s fuel (gas, oil) or electric, you are probably using more energy heating and cooling than anywhere else in your life. New technology furnaces and air conditioning units are powerful, quiet and durable (less likely to require service). New furnaces burn fuel more efficiently producing a small fraction of the greenhouse gasses of older models. And, HRV’s (when selected) help reduce the amount of heat that is lost as household air is replaced with outside air. As fresh air enters the house, it is warmed as it passes through a heat exchanger, heated by the warm outgoing air stream. ENERGY STAR® for New Homes partners, Ozz Corporation and Enbridge offer innovative and leading edge HVAC solutions. ENERGY STAR® qualified homes would also normally be equipped with ENERGY STAR® qualified products — lighting fixtures, LED bulbs, whisper quiet ventilation fans, and appliances, such as refrigerators, dish washers, and washing machines. These ENERGY STAR® qualified products provide additional energy savings to the homeowner (while also helping the home earn its ENERGY STAR® for New Homes label). Look for the ENERGY STAR® qualified products when selecting items for your new home. Copyright TMC Construction 2015. All Rights Reserved.